Post news Report RSS	Version 1.7.9.86 + Concept Book & Extras & OST DLC Updated on Steam. Important: This minor update and the latest major update is currently only available on Steam. Please wait a little if you want to DRM-free builds on our stores. Yunseok is here. I had two updates on Steam from the last article on IndieDB. I write down the changes. Hope you like it. Activated: The Tic-disorder control feature will now works as itself. Fixed: A bug that called the Hyeongsiks polaroid image in the Unlocked screen even though it did not granted the condition. Fixed: A bug that two dialogues are output in Spanish when playing with Korean. Removed: Comment about the TEEN version in Russian, Dying Message. Removed: Some white space in Russian. Removed: Duplicate text in Spanish, Yunwoo's profile. Fixed: Changes to call 4 records per line when Unlocked screen called more than 5 records in the same archive category. Removed: Unnecessary bottom white-spaces in Diary archive. Improved: Activate Language tab in Steam client to download the Concept Book in your language. This language setting applies Concept Book only. 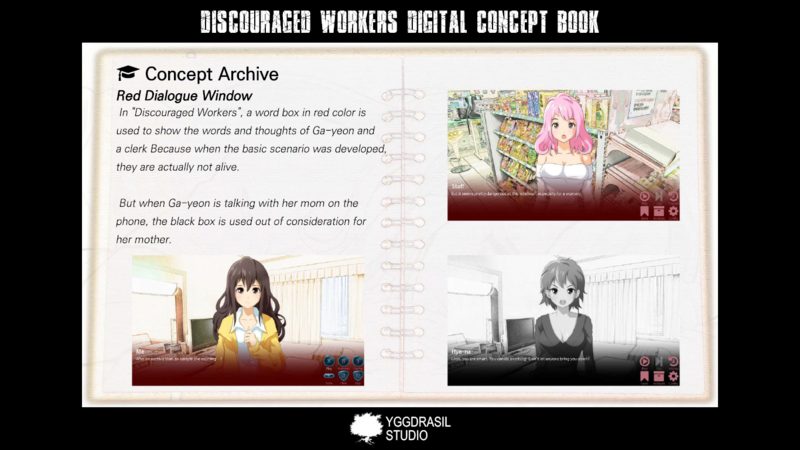 Right click on the Discouraged Workers from the Steam game library and choose Properties. Added: Open Concept Book in Russian or Spanish. 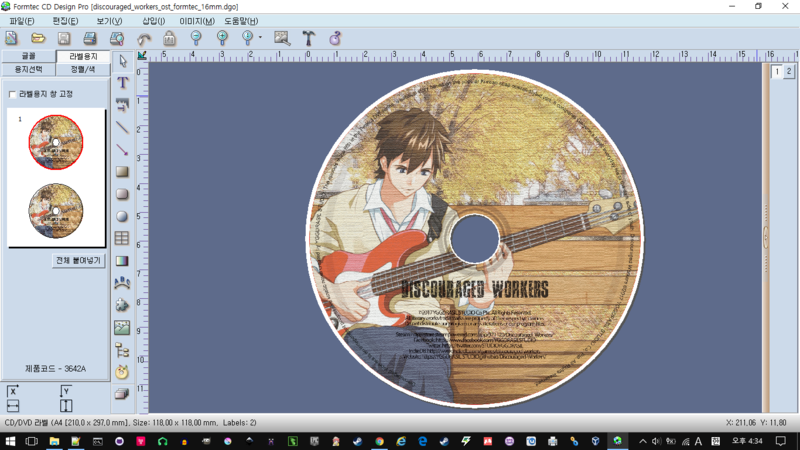 The View button on the Concept Book DLC in Discouraged Workers will open PDF file if you have the DLC as same language setting. 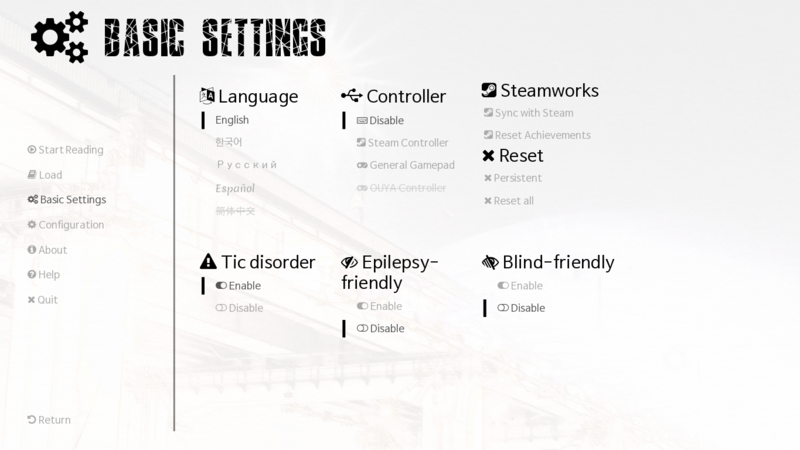 Improved: The Steam sync and Reset features have been added to the basic settings as legacy features. Please refer to the paragraph below for usage. I've added some features as legacy because it can be irreversible mistake with the wrong click. Sync with Steam: This will sync your missing Steam Achievements from sync error with Steam. Reset Achievements: This will reset your Steam Achievements progress and remove local persistent data. Persistent: This will delete your local persistent data. Reset all: This will reset all your progress, including local persistent and saved data, and Steam Achievements. To use this feature, the player must modify the languages.rpy file in the /game/ directory. Open languages.rpy file with your text editor. 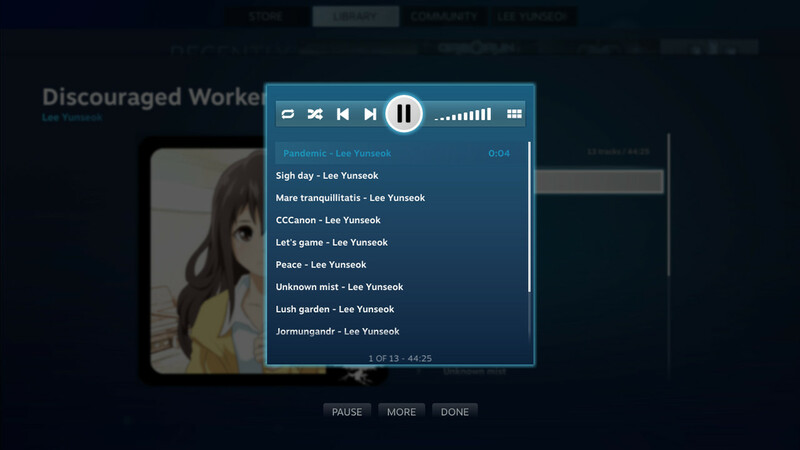 Save and close the file, run the Discouraged Workers in Steam client. Move to Configuration>Basic Settings. Then you will see the legacy features. Click the feature you want. Title page of the Digital Concept Book PDF. Updated: Raspberry Pi V 1.7.9.86 build. Updated: Android V 1.7.9.86 build. Fixed: One missing file has been included in the Android build. 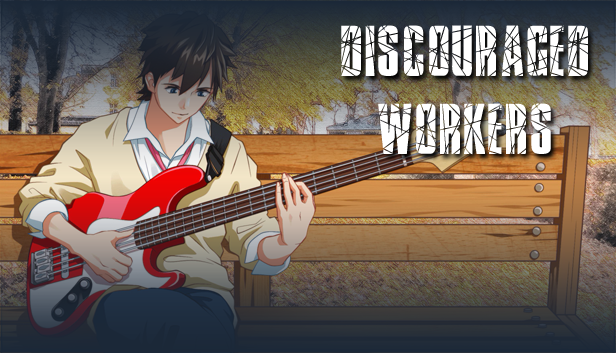 Discouraged Workers is currently on sale. If you have any problems or questions, then please don't hesitate to post on our Steam forum, or feel free contact to me. Thank you for your time. Happy New Year.